Sister Healey's Adventure in the Philippines: Happy 4th of July! 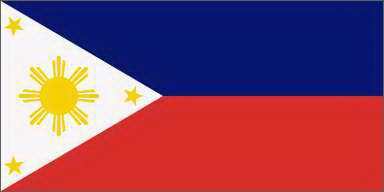 Maupay na aga and happy Independence day ha iyo didto ha America! Sister Prudencio and I (being 2 Americans here in the Philippines) have been making the most of it by singing the Star-Spangled Banner and America the Beautiful, even in a few lessons. hahaha We are also wearing Red, White and Blue and being really obnoxious and Patriotic. Later today I'm sure we will go buy some BBQ chicken intestine and eat some watermelon. It will be a great Pday. This past week we had MLC (Missionary Leadership Counsel) in Tacloban where all of the Zone Leaders and Sister Training Leaders meet in the mission home. It was fun to see some of the other missionaries as well as further discuss what we learned from Elder Bowen the other week. This past week we have been applying the principles taught by Elder Bowen and have started talking to a lot more people every week and have seen miracles! This past week we got 26 new investigators!! And a lot of people committed to baptismal dates! It has been a great week, even though it has been pouring rain here every day... haha and every time it rains our bathroom floods because a pipe is broken and we have to bucket the water into the toilet so it doesn't get into the other room. haha but it's ok!! It's better than the drought! Count your blessings right?! Basta, that's all I have time for this week! I love you all! Celebrate America for me. Take a few of those cliche vids of the fireworks and post it on the internet! Take care! Don't drink and drive! (Actually don't drink at all...) sigi bye! This old man is the deaf tatay that we have to yell at to teach him. He only has his two front teeth left but was too shy to smile. After we took the picture we showed him and he was in awe because somehow he got inside of this little box. I love him so much.